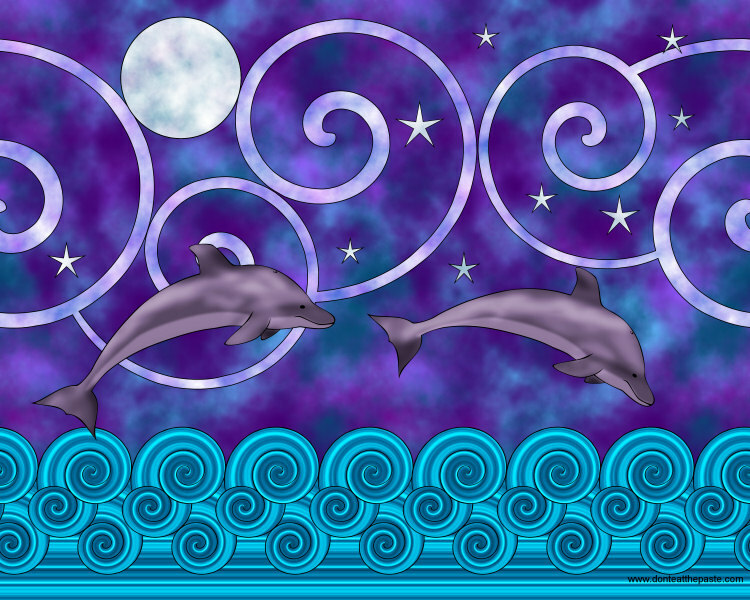 Another dolphin coloring page just for fun. Click on the image for a larger version. Looking at my traffic reports, crochet patterns are super popular so I guess that I should be counting my stitches more often. Other popular search terms include cookie box, pirate eye patch and peace symbol coloring pages. With my regular readers, I'm not sure what the most popular things are. I'd love some feedback. If you have a moment and the inclination, can you vote on a Threadless slogan for me? The slogan is "Alliteration, almost always avoidable." you can vote on it here. I hate having to keep up with yet another login, so I must really like you to join threadless just so I could vote for your slogan.